Jagathish M, a tuk tuk driver in Chennai, India, has smashed his way into the Guinness World Record for the farthest side-wheelie on an automatic tuk tuk. 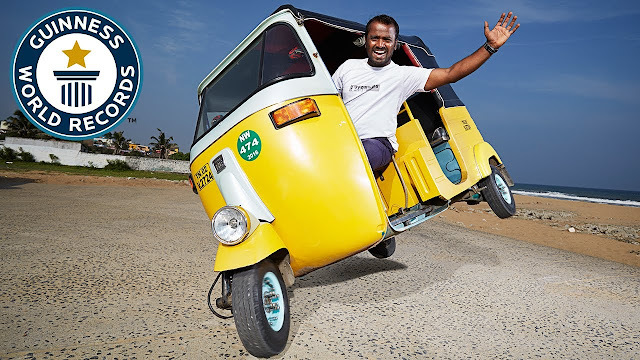 On 17 February 2011, Ab India Todega at the Juhu Aerodrome in Mumbai, India, Jagathish was required to drive the rickshaw a minimum of one kilometre but more than doubled this and ended up covering a whopping 2.2km distance by revving his tuk tuk up to 50mph before using the steering wheel to tip it onto two wheels. 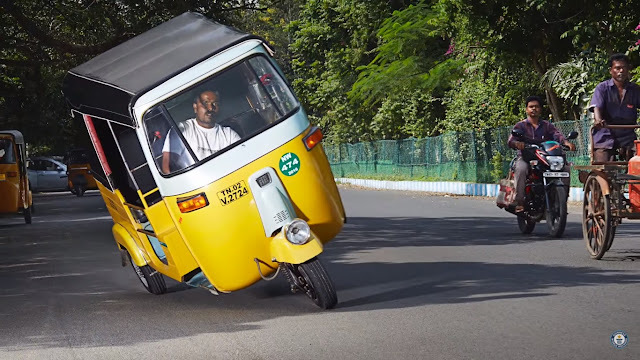 Jagathish told Guinness World Records: "I never thought this record was achievable, but... I am satisifed."